Low Stock Alert: Only 47 left ! Kshitij jewellery let's you plunder the royal treasure to find brilliant cuts, a luminous play of light and shadow, intricate designs crafted with pure passion and joy. The brand's collection includes earrings, pendents, sets and necklaces. Kshitij Jewels Brings to you magnificent jewellery collection at affordable price. kshitij jewels offers you unique collection to make your everyday life more beautiful. Earrings are so much in fashion these days! 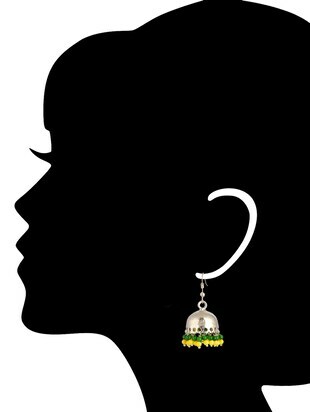 So, why miss the opportunity when you can get them in jhumka types and that too from KSHITIJ JEWELS . Flaunt this unique collection of earrings for ethnic wear occasions and in alluring metal materials. Elegant colours can add a premium look to your earrings! Well, at LimeRoad you can get access to earrings in multi colours. Size might pose a big threat to you if you buy them locally but with LimeRoad by your side, such issues can always take a backseat! 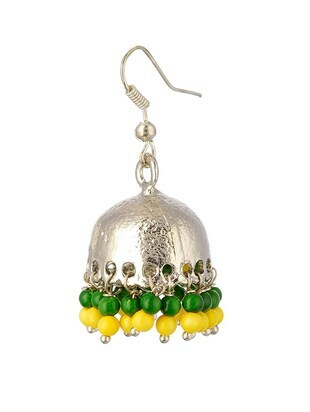 Visit LimeRoad and browse through the latest earrings in ONE SIZE sizes. Buy this extraordinary collection priced at ₹225 and also avail a mammoth discount.